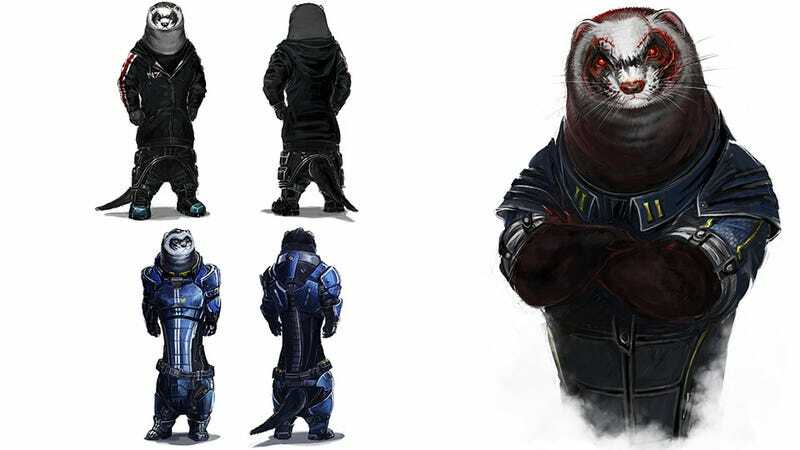 Ferrets as Famous Video Game Characters. It's Way Better Than You Think. Russian artist Amales has been featured here on Kotaku before. For her ferrets. But boy, in the time since, she's been busy. Not only is she fleshing out the rest of the cast of the Mass Effect series, but she's also featuring other animorphic transformations like Diablo III's Monk and Dead Space's Isaac. I know, I know, when it's described to you it sounds just awful, but these are actually damn good. They're like something from a badass, futuristic Wind in the Willows.